Following the blockbuster success of The LEGO Movie in 2014, Warner Bros. green lit two spin-offs, The LEGO Batman Movie, which hit theaters earlier this month and is already a box office hit with $226.2 million worldwide, and Ninjago, which arrives on September 22. After that, fans have a long wait until LEGO Movie 2, which is slated for release on February 8, 2019, but today we have new details about the story. Chris McKay, who directed The LEGO Batman Movie and produces The LEGO Movie Sequel, reveals this story is set in outer space. Here's what the director had to say in a recent interview. Chris McKay, who was originally set to direct The LEGO Movie Sequel before he was moved over to The LEGO Batman Movie, revealed on the Shanlian On Batman Podcast these first details about the space action aspects of this sequel. Unfortunately, he wouldn't shed more light on this outer space element, but it could tie into the Spaceman Benny character from The LEGO Movie, who was voiced by Charlie Day, but that is only speculation at this point. 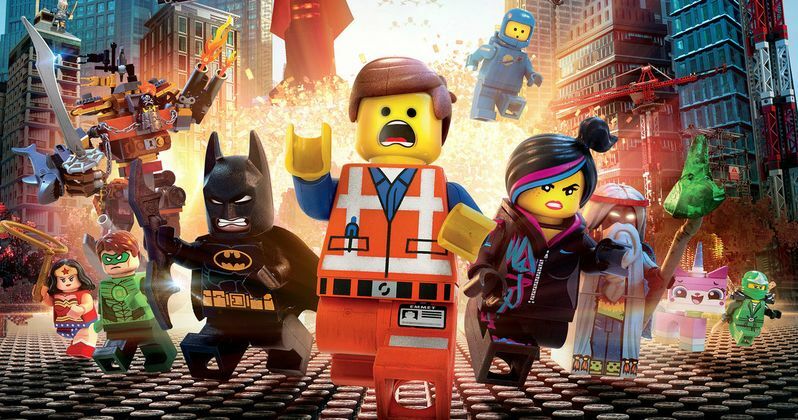 Here's what Chris McKay had to say about how quickly they moved forward with LEGO Movie 2. "The critics liked The LEGO Movie, audiences liked it, then we started talking about sequels and obviously everyone wanted to do LEGO 2." Back in 2015, then-director Rob Schrab hinted that Warner Bros. is working out a deal with BBC that would bring the beloved TV character Doctor Who to The LEGO Movie Sequel, which followed the character's appearance in the LEGO Dimensions video game. We never got confirmation that Doctor Who will appear on this sequel, but Rob Schrab would later leave the project due to creative differences. Earlier this month, Mike Mitchell, who directed last year's hit animated musical comedy Trolls, stepped in to direct. Phil Lord and Chris Miller, who directed both 21 and 22 Jump Street, directed The Lego Movie and wrote The Lego Movie Sequel, but because they decided to take the gig directing theHan Solo spin-off for Disney and Lucasfilm, they didn't have time to direct this sequel. BoJack Horseman creator Raphael Bob-Waksberg also did a rewrite on the script. Warner Bros. has yet to confirm which cast members from The LEGO Movie will return for The Lego Movie Sequel, and with just under two years until it hits theaters, we may not get more updates for quite some time.